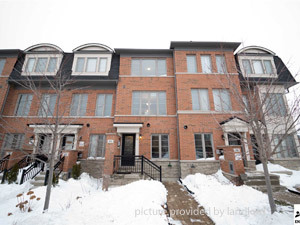 2 Bedroom Townhouse, At Warden Subway. Hardwood Floors, Maple Kitchen Cabinets, S/S Appliances, Central Vac., CAC. Save Energy With Individual Heating/Cooling On Each Floor. Bright Bedrooms W/ Laundry on Top Level. Large Eat-In Kitchen With W/O To Deck, Direct Access To Garage. 2 car parking included. Available May 1st. Utilities included. Envoyer cette page par email à un ami!